If you like craft beer, then you have probably heard about Flying Saucer. One of the biggest an best beer bar chains. Its location in Fort Worth definitely does not disappoint. Flying Saucer Fort Worth is located in Sundance Square in a very large space that offers indoor seating, darts, and a very spacious patio that is great when the weather agrees. For those who haven’t ever been, i highly recommend that you fix this problem. This bar has a HUGE beer selection. Their tap wall is nothing short of impressive. Stock full of rotating beers from all over Texas and the United States. They also have bottles to be bought which help to expand their selection even further. Now that it is christmas time, it makes it a little difficult to utilize the patio to its fullest due to the weather, but I still recommend that you get over to try their seasonals. Especially a beer from Karbach Brewing Co. in Houston, TX. It’s a beer called “Yule Shoot Your Eye Out”. Its a beer that without even tasting is great because it provides the nostalgia of little Ralphie in his plight to get a Red Ryder BB gun. This beer is definitely a winter seasonal but doesn’t go over board with the malt flavor. Many winter beers are very heavy with the grains/malt that are used (in an attempt to give your body something to burn in the cold weather). This beer is full of flavor but doesnt make you feel like you just had to chew the beer to get it down. While it’s still there, I highly recommend that you try this beer at Flying Saucer Fort Worth. 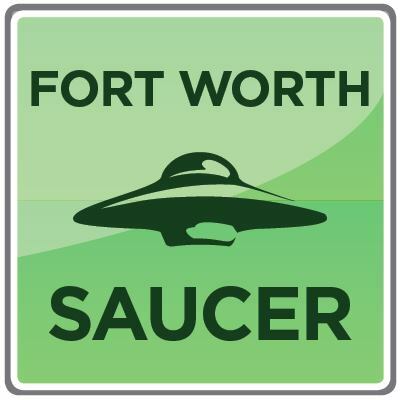 So, whether you have never been there or not, your challenge is 1) Go try Flying Saucer Fort Worth! OR 2) Get inspired and go back!